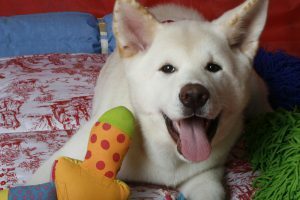 There are literally 1000s of dog toys out there and choosing the most durable dog toys for your dog can be challenging. The toys in the marketplace and homemade toys are made to suit all different sized dogs which are great for your pet. I hope this post will give you a better insight on what to choose for your dog. Pay attention to the types of material you use. Plastic bottles can be dangerous and pieces can become lodged inside your dog and cause health issues. Some people think freezing rolled up socks are good. I tend to disagree with because maybe it will teach your dog to steal socks and make them a toy which could be very costly and annoying when it comes to finding your socks in good condition. Some homemade toys are durable however please do your research before you DIY and make sure the toys are 100% safe for your pet. Old sneakers may be durable to play tug- o – war and fetch, however, I have the same feeling about using sneakers as I do socks, so consider the consequences before doing this. The fun is about to begin when you go shopping for dog and depending on the size of your dog and sometimes the breed you will find once you start looking around whether it be from a store where you live or online, you will see literally 100’s of toys that you can buy. So before you go shopping, think about what you will be doing with your dog. Are you going to play fetch on dry land or in the water? What about a toy for your dog to play with alone. Are you going to play with a strength toy e.g. your dog pulls with his mouth while you hold the toy? Is your dog going to have a bedtime cuddly toy? If you go op-shopping for these please check the stuffing. Some soft toys are stuffed with toxic beads so please be diligent. Also, some cuddly toys at a second-hand store can create a real mess when they are eventually ripped open and sometimes the stuffing is not something your dog should be digesting. Toys from specialized stores sell toys specifically for dogs and will be a lot safer for your dog. Vet bills are expensive and poor health is no fun at all for your dog. Enjoy choosing and buying. If you search online there are some great stores to buy from and you will usually find they have information on each product so you make a good choice. Durable dog toys are best for your dog in so many ways. They have been made for dogs, not humans and the manufacturer of dog products use the right type of materials to ensure safety for your dog. Ask people you know with a similar size dog to yours and get ideas from them as they will most likely have gone through a few toys and will have favorite toys from the experiences they have with their dog. When it is time for your dog to go to bed for the night, pick up all the toys and put them in a container. Your dog will get to know playtime is over and now it is bedtime. It is important for you to have boundaries and some kind of routine. 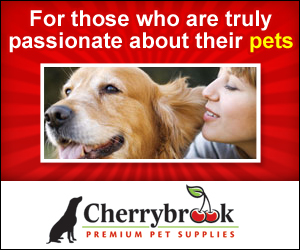 Your dog will learn quickly with gentle teaching it will be a win-win for you both. Puppy’s love to play every time they wake up and sometimes it is not convenient for you. You work from home and have people arriving, you are busy with children. You are feeling unwell…….. Sometimes play time is not OK and by putting the toys away, your puppy will also learn when it is OK to play and when it is not. Sometimes a playpen can help as well especially while your doggy is small. You can also consider, if you have a well-fenced property, put your dog outside with a couple of outside toys that don’t need human interaction and they will learn to play happily while you deal with whatever situation you have at the time. If your doggy tries to pick up children’s toys to claim them for him/herself, remove the toy and give him/her a toy that is correct. They will soon realize it is game over trying to do that. If they decide their feed bowl is a toy, just place it on the bench out of reach and they will learn to understand the bowl is only for meal time. Onward and Upward – Go Have Fun! 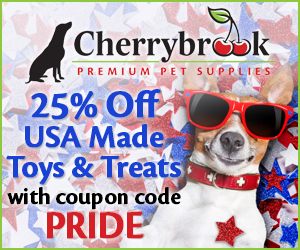 When it comes to shopping for toys I’m sure you will make great choices for your dog. After all, your new family member is loved and you will always want the best I’m sure of it. I have two dogs and they have favorite toys, old toys that quietly disappear into the bin and new toys to give them a sense of adventure and fun. Use brain toys, fun toys, toys that bring you both joy and I’m sure you will both have so much fun together and your doggy will have fun time alone. Depending on the breed and size of your doggy will determine the type of toys you buy so have fun, do your research and take photos to create wonderful memories.